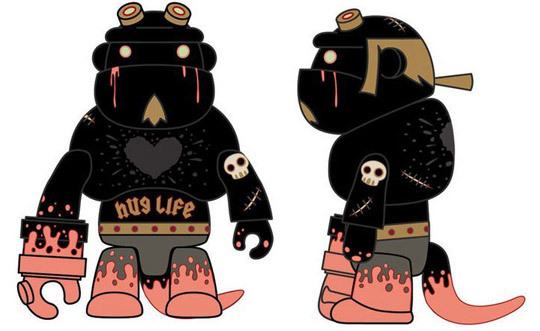 We began our Qee line with the classic 2.5 inch Hellboy Qee. Next up, the much-coveted large size 8? Qee. Hellboy and Qee fans can rejoice and unite in toy heaven! We asked Mike Mignola to pick an artist to design an 8? Hellboy variant and he chose one of our favorite people: the talented Miss Tara McPherson! Tara was happy to comply, and has designed a magnificent Hellboy, turning it into a unique creation all her own! This piece is limited to 450, worldwide, so place your orders now!